Aside from the fact that both assets were the biggest, deepest and most preeminent momentum trades for both hedge funds and fast money jocks during their respective market reigns, the continued strength of our comparative study between Apple and Oil (circa 2008/2009) benefits as well from basic fundamental parallels, that we would simply distill down to relative value and growth. This is why we have for the most part panned what many have perceived to be great similarities in Apple's rise and fall, with the arc of Microsoft's performance in the 90's through the Nasdaq bubble in 2000. 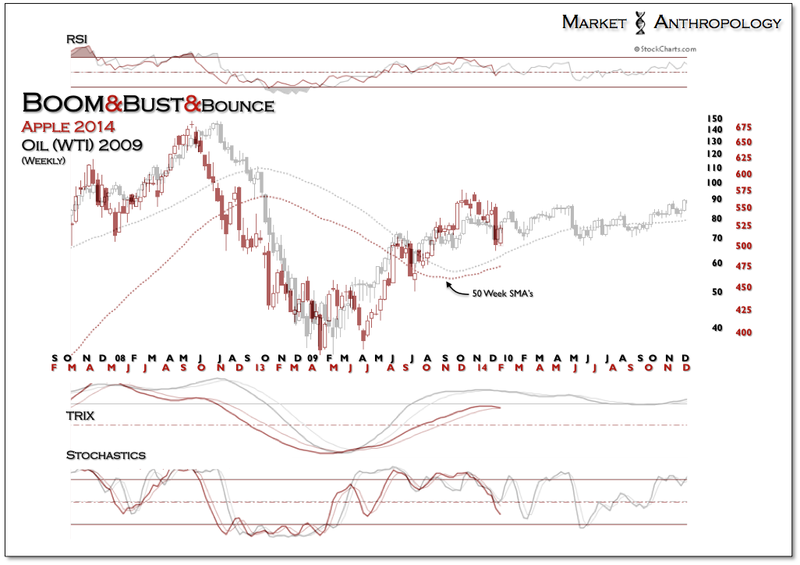 While the momentum trend in Microsoft's stock was never rekindled after its millennium break, the technical precursors for a strong reversion to trend in Apple were evident on the way down - just as they were in oil in 2008. 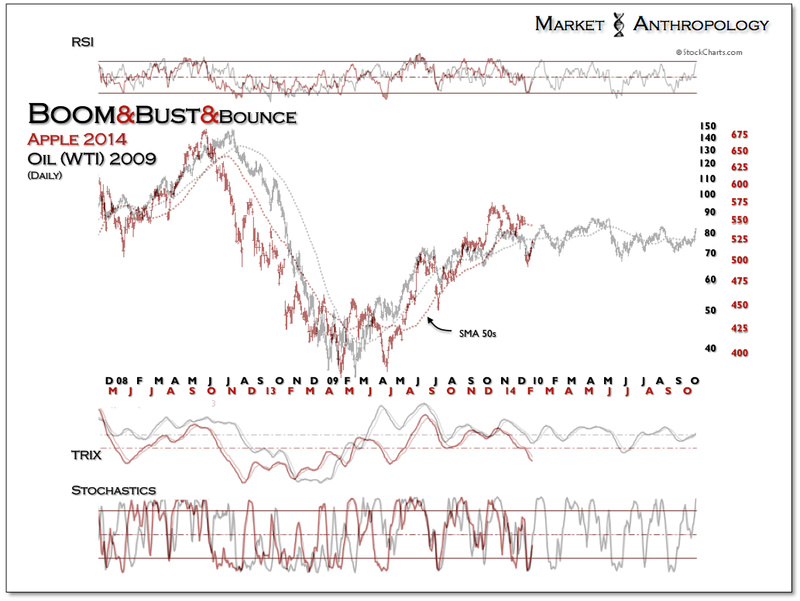 These similarities presented themselves in structure and momentum, with large positive relative strength divergences that likely indicated significant mean reversions for both assets. Foresight 20/20 - value. Although one could debate the granularities of whether it's the chicken-or-the-egg between technical and fundamental motivations, once the momentum drain was completed for both assets - the underlying rationale for trend was reliant on value and the perception for growth. Both oil and Apple had/have it - Microsoft did not. Icahn noticed it this past August and Apple is confirming as much today with disclosure of $12 billion of stock bought over the last two weeks in its accelerated repurchase program. As expected, Apple carved out another pivot on the comparative last week and is enjoying a ~ 5% move to the upside this time around the block.